Michael Suthers, Real Estate Agent and Principal of Harcourts Yeppoon, has a driving ambition to be the best in the business. Michael’s enthusiasm and natural flair is engaging, and he thrives on the daily interaction with people and is “Yeppoon’s most trusted opinion” Michael also embraces modern technology and is up to date with the latest online techniques and sales opportunities that will get your property/business the best coverage possible within the market place. If you're buying your first home or selling your 10th, or looking to move on from your business, Michael Suthers can help you with the right level of personal attention. Working with Harcourts Yeppoon, one of the most reputable agencies on the Capricorn Coast, Mike strives to consistently deliver achievable results for his clients with total integrity and transparency, delivering above expectation. 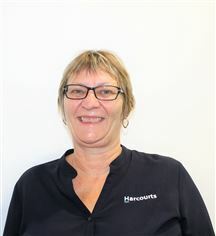 After many years as a successful Real Estate Consultant with another national company in Yeppoon Bert has decided to join the progressive Harcourts team. Daniel has been a Harcourts agent for the past 9 years and during this time, he has achieved enormous success. which he attributes this to this enthusiasm, motivation, and commitment to exceeding the expectations of his clients. Daniel prides himself on his key points of difference: • Total dedication and devotion to his clients, resulting in a very strong referral base. • Excellent communication, listening, marketing and negotiation skills. • Continual research and development of his marketing knowledge, and strong communication with his qualified client database. • A hard worker and a high achiever, Daniel works tirelessly to ensure that his clients will always feel absolutely confident and relaxed during the sales process. Call Daniel today if you require an honest, professional and reliable agent. As your Real Estate Agent, Emilia Laban promises to bring you new levels of personalized service, with a strong focus towards achieving the best possible result for your property. With a personal touch and the ability to immerse herself into her work, you can rest assured that your property is number one on her agenda. Emilia’s passion for real estate, strong work ethic and intimate knowledge of the local market place continues to impress her growing list of very happy clients. If you are contemplating a real estate decision now or in the near future, call Emilia to arrange your obligation-free market appraisal today, discuss your property needs and find out more about our service and fees! Mariah has taken on the role of sales administrator in our busy Yeppoon office. 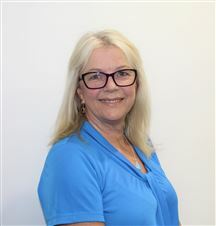 With already having had previous experience in Real Estate in Rockhampton and Yeppoon, Makes her a valued member of our team.